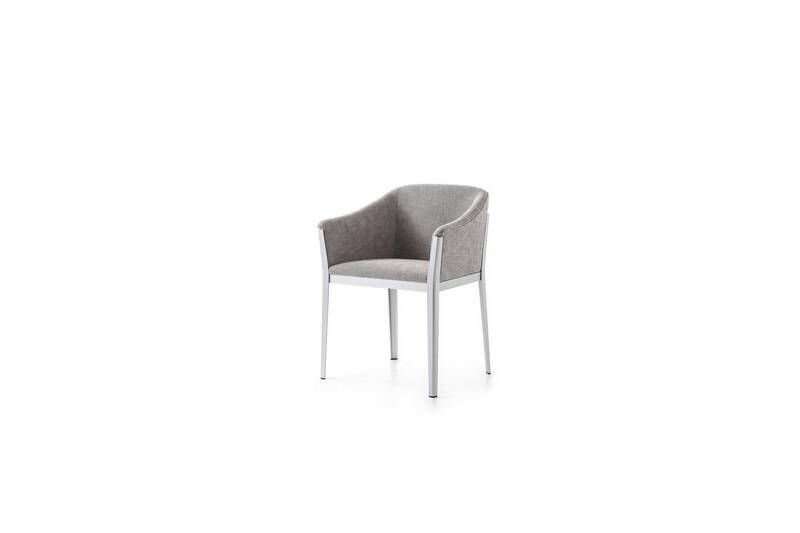 A low-armed dining chair that is as comfortable as an armchair proper, elegantly extends an invitation to sit and relax; a brand-new slim-line version is also now available. 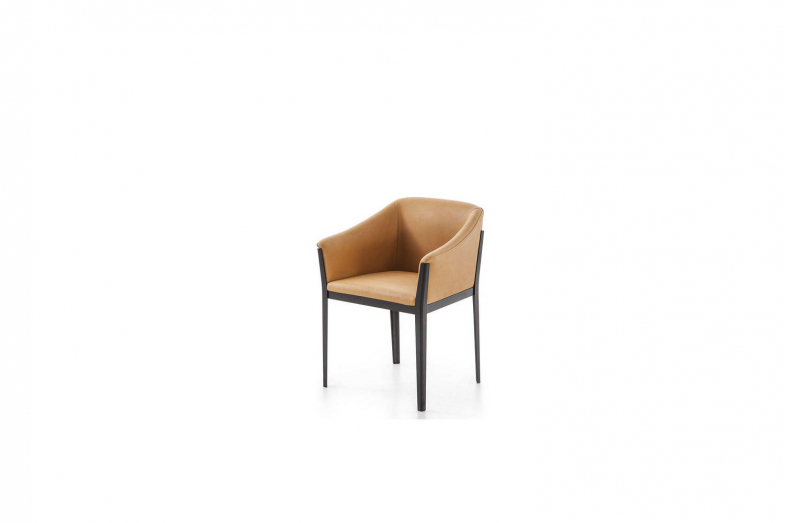 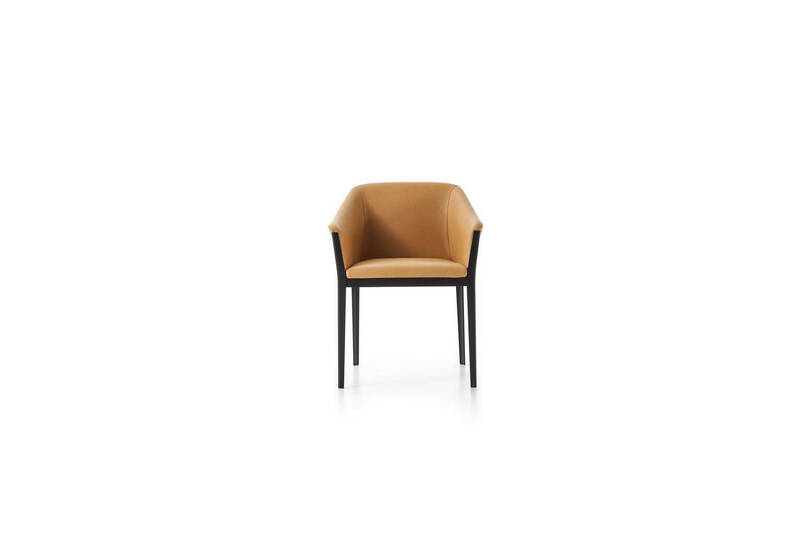 The designers of Cotone and Cotone Slim took their cue from the great Cassina classics, and their skeleton frame that exemplifies the company's ability to produce highly expressive and exquisitely refined pieces year after year. The key to the design of Cotone is the strong contrast between the frame's rigorous, minimal line, which is made of aluminium with extruded profiles created exclusively for this piece, and the soft, welcoming look of the seat. 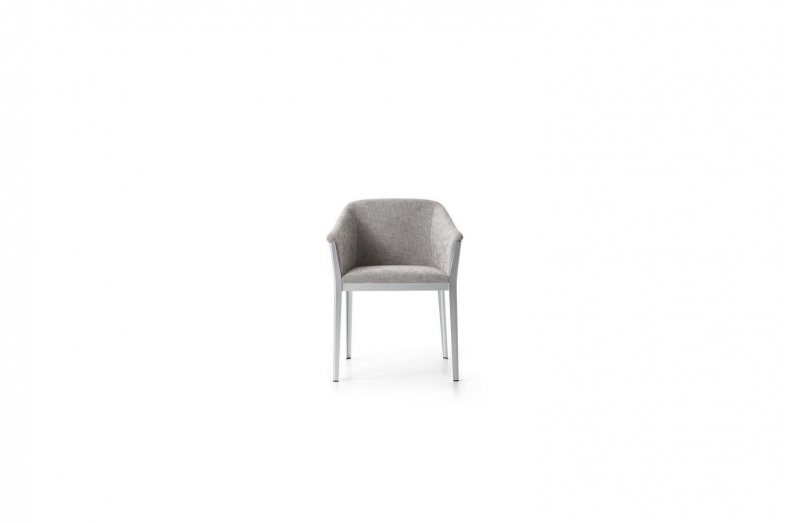 The frame is available in a number of aluminium finishes, while the polyurethane padding is supplied in leather or fabric, but without the feather-quilted cover.